PADI Specialty Diver courses offer the perfect opportunity to expand the knowledge of your students, to better understand their interests as divers and to make sure they come back to complete more courses in the future! The PADI Specialty of the Quarter campaign was launched in 2018, to focus on the promotion of various PADI Specialty Diver courses each quarter. Not only does this campaign help to grow the interest of continuing your students education, but it also aims to increase the sales of your PADI Specialty Diver courses and student materials. This quarter we are focusing on promoting the PADI Underwater Navigator and PADI Equipment Specialist specialty courses! Many divers rely on more experienced divers to help them navigate under the water. However, what if these divers knew that they could complete the PADI Underwater Navigator specialty course and learn not only how to navigate underwater with a compass, but how to estimate distance underwater, how to mark or relocate a submerged object or position from the surface or how to create an underwater map? These divers would then not only feel more confident under the water, but they could also one day become the underwater guide that they used to rely on. How many times have your students asked you about their missing o-ring or broken fin strap before getting in the water? Scuba Diving is an equipment intensive sport, so it is important that each diver understands not only how to use their equipment, but how it can also be repaired or adjusted. By completing the PADI Equipment Specialist specialty course, students will learn routine care, maintenance procedures, equipment storage recommendations, how to overcome equipment problems along with equipment configuration suggestions. Not only will this specialty better prepare divers to take care of their dive gear, but it will also improve their performance in the water as they become more comfortable with their own equipment. 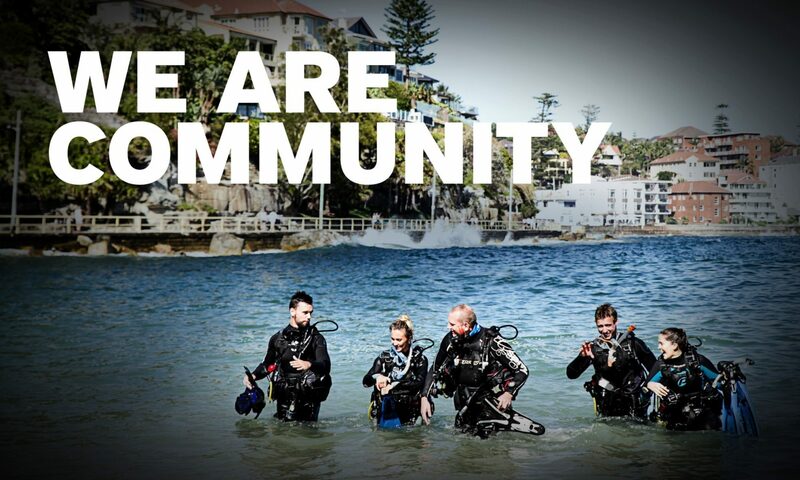 To help you promote the PADI ‘Specialty of the Quarter campaign’ you can download our free digital marketing materials including web banners, headers, and more. Our marketing materials are available in English, Korean, Traditional and Simplified Chinese. To download our free marketing materials Click Here. For further information please contact your PADI Regional Manager or the PADI Asia Pacific marketing team on marketing@padi.com.au. To see the full PADI Specialty of the Quarter 2018 schedule please Click Here. Most people that will try freediving for the first time will be immediately hooked. Freediving not only allows you to discover the underwater world without much equipment and only on a single breath, but it will deepen your understanding of physics and physiology that will eventually allow you to extend your personal limits in a gentle manner. To help train future instructors that can teach the sport of freediving to a rapidly growing market, PADI Asia Pacific conducted its first ever PADI Freediver Instructor Trainer Course in Cebu, Philippines. This international program brought together 14 candidates from 7 different countries and was translated into Chinese, Korean and Japanese. Due to consistent PADI training standards worldwide that differ only in style, technique and application, the Freediver Instructor Trainer Course is a fantastic networking opportunity to gain insight into how standards are adapted and applied internationally. One primary benefit of a multi-national program is the opportunity it creates for the candidates and staff to establish business relationships and exchange ideas. The participants, experienced PADI Master Freediver Instructors, were selected from a number of applicants. The Freediver Instructor Trainer Course focused on PADI philosophy, instructor candidate counselling, instructor-level presentations and evaluation as well as marketing for instructor development programs. Interested in becoming the PADI Freediver Instructor Trainer? This was the first, but it certainly won’t be the last – PADI Asia Pacific will run these PADI Freediver Instructor Trainer courses from time to time. To apply, candidates will need to be renewed and in teaching status as a PADI Master Freediver Instructor, certified as an Emergency First Response Instructor Trainer and have experience teaching all PADI Freediver program levels beyond those required for the PADI Master Freediver Instructor level. In addition, applicants will need to have experience staffing PADI Freediver Instructor training courses and not have had any verified Quality Management complaints in the last 12 month prior to the course date. For further information about the Freediver Instructor Trainer Course, its prerequisites, requirements and future programs, please contact your Regional Headquarters. Help your divers join the best of the best in recreational scuba diving and live the dive life as a PADI Master Scuba Diver in 2017. The PADI Master Scuba Diver rating places them in an elite group of respected divers who have both significant experience and extensive scuba training. To earn this rating they must log 50 dives and have their PADI Open Water Diver, PADI Advanced Open Water Diver and PADI Rescue Diver certifications, as well as five PADI Specialty course certifications. In 2017, when they complete their training at a PADI Dive Shop in the Asia Pacific region, the usual Master Scuba Diver application fees will be waived. So encourage them to take the plunge in 2017, earn their PADI Master Scuba Diver rating and become part of an elite group of highly skilled and trained divers. Download the 2017 PADI Master Scuba Diver Voucher (Asia Pacific). Contact PADI Asia Pacific for more information. With the release of the updated PADI Advanced Open Water Diver course, the PADI Self-Reliant Diver distinctive specialty course is now a standardized PADI Specialty Diver course. If you are a PADI Self-Reliant Diver Distinctive Specialty Instructor or Trainer, you may qualify to change your rating so that you can teach this new standardised course and allow your divers to credit Dive One as an Adventure Dive. To change your rating, download the Specialty Change Request Form from the Pros’ Site and submit it to your PADI Regional Headquarters. You are no longer required to have 25 divers certification to apply for the self-reliant diver specialty instructor rating if you use method 1. (Complete a specialty Instructor course with the PADI Course Director). You are still required to be at least 18 years old however, and be a PADI Self-Reliant Diver or PADI TecRec Diver, or have a qualifying certification from another training organisation and have 20 logged dives if using method 1 or 2. The distinctive self-reliant diver specialty instructor guide is now removed from the Pro Site. If you wish to get the newly updated standardised self-reliant diver Instructor guide, it is now available on the online shopping cart; Product code: 70248. You are also welcome to order it by emailing us on training-sales@padi.com.au.